The area around Donetsk is the top hotspot. 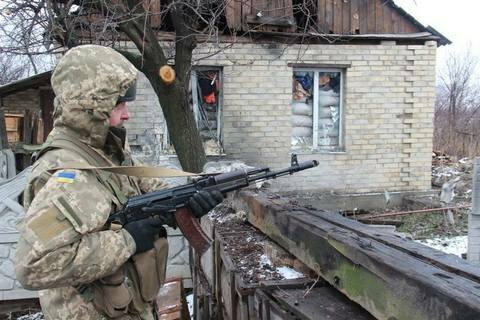 Pro-Russian separatists have launched 18 shooting attacks against the antiterrorist operation (ATO) troops in Donbas since the start of 22 February, the ATO HQ has said in its regular update. The top hotspot is the Donetsk sector where 15 shooting attacks were registered. The separatists fired with small arms, heavy machine guns and grenade launchers on the ATO positions in Opytne, Pisky, Zaytseve, Troyitske and Novhorodske. Automatic grenade launchers were used near the Butivka mine and the Zenit position. Three times the separatists fired with 82-mm mortars near Krasnohorivka. On 21 February, 13 servicemen were wounded in the ATO area, including two in action and 11 more as a result of mishandling an explosive device near Maryinka. A Brussels "surprise", or why the Navy Command is not excited about NATO-proposed reform.